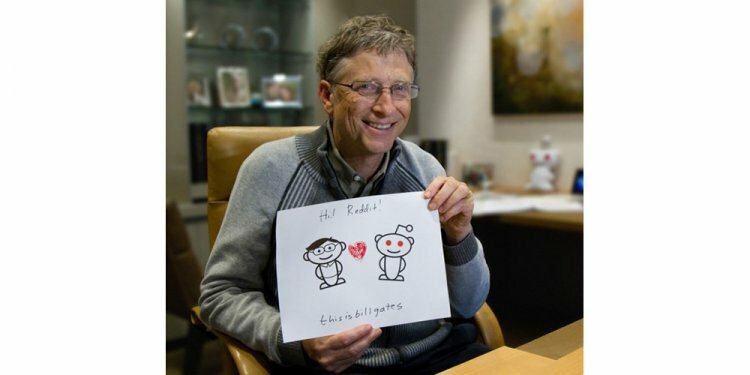 What do Bill Gates, people with Asperger’s Syndrome, and your gifted child have in common? Some would say agreat intellect coupled withdifficult social interactions. Rumors and anecdotal tales abound about the connection between various brain disorders and high intelligence – let’s take them one at a time. Diagnosing Asperger’s, as with other Autism spectrum disorders, is a tricky process. There is no simple, definitive test; physicians instead will collect evidence of symptoms. A child with a good number of “indicator” symptoms may be given a provisional diagnosis, but the strength and frequency of the symptoms matter, as does the child’s relative success interacting with others, complicating the process. And how does Bill Gates fit in to this story? Mr. Gates, the phenomenally successful billionaire CEO of Microsoft, has been diagnosed by amateur, “armchair physicians” on the internet and in the media for years. His legendary eccentricities, including the habit of “rocking” and a disdain for the opinions of others, have led many to speculate that he is an “Aspie,” or sufferer of Asperger’s. While no doctor has ever given Mr. Gates an official diagnosis, he stands as a hero for many Aspies who look to his success with hope. What is the likelihood that Mr. Gates does indeed have Asperger’s? According to Jonathan Mitchell, the author of the essay “Undiagnosing Gates, Jefferson and Einstein,” the likelihood is low. He points to Mr. Gates’ successful social relationships as proof that whatever his eccentricities, he cannot have Asperger’s as he can function so well in “normal” society. (His essay is here) If Bill Gates can successfully run a business, get married, and pull himself together to perform well in interviews, he cannot possibly have Asperger’s, says Mr. Mitchell. All of this illustrates how careful we must be as we seek to understand our children. The human mind is more complicated that we can comprehend, and trying to simplify it, label it, and set it into pretty boxes does more harm than good for the very children we are trying to help. In the words of Temple Grandin, the autistic woman about whom a television movie was recently made, genius itself can be considered an abnormality. Where would we be if we chose to treat genius as a problem, rather than a stroke of luck? In other words, a gifted child may have Asperger’s, but every Asperger’s child may not be gifted. The severity of the social difficulties is the key here. There are many clumsy or awkward people in the world, but not every one of them is so afflicted that he cannot function well in society. A person who isn’t coordinated enough to play baseball successfully is not automatically diagnosed with a muscular disorder. Similarly, bright children who are not naturally comfortable in social situations shouldn’t automatically be looked at askance, as if there was a problem there that needed to be solved. Bright children have a myriad of reasons to be either uninterested in or prefer to avoid social situations, from the gap between their mental age and the mental ages of their peers, to their tendency toward hypersensitivities, to the tendency of their peers to tease them. The actual problem, the lack of challenge in the boy’s education, and his boredom in class, was completely ignored, in favor of “fixing” his behaviors. And to what end? Would training him to stop “flapping” his hands improve his education in some way? What is more important here? Within a year of transferring to another school, skipping a grade, and being embraced by a community of “smart” people, the boy’s social issues faded on their own. Maturity may have been a contributing factor, but his parents were grateful that they had not “made a big deal” about his issues and caused him to feel badly about himself. Clearly this is one isolated example among many, but it illustrates how a focus on social behavior may be erroneous. My point is, while social difficulties can be (obviously) difficult…. so what? Must we all act the same way all of the time? Can’t a person be valued by the contributions from his mind, rather than the image of his body? Let the kid bounce and flap if he wants to, and he’s happy. Get him some support, rather than focus on training his spark out of him. Teach him the finer points of social interaction, if they don’t come naturally to him, just like you would teach the techniques of oil painting to a person who previously had only fingerpainted. Let’s embrace diversity in all shapes and sizes. Being a smooth talker, a suave companion, and a popular kid is not necessarily the appropriate goal for every child.